A solid financial plan enables you to identify areas of strength and weakness in your current portfolio and establish measurable steps toward positive growth. We manage assets based on your needs, your goals and your tolerance for risk. Each portfolio is designed to accomplish identified investment return targets with the least risk possible for the desired return. “At Financial Solutions Advisory Group, we provide customized wealth management and financial planning through highly personalized service. Our team has decades of experience working with affluent individuals and their families, and we have devoted our careers to addressing our clients’ complex financial needs. Wealth Management built for you. As a fee-only advisor, we do not accept compensation from any party other than you, so we will never open the door to any conflict of interest. 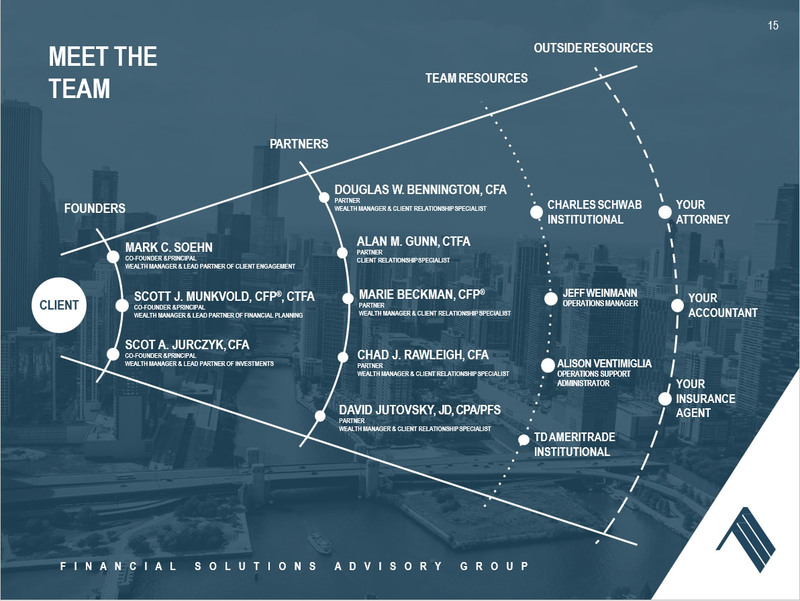 Recognized for a third consecutive year as one of the best wealth management firms in Chicago by AdvisoryHQ. 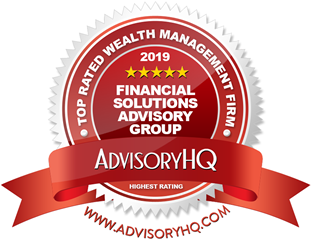 AdvisoryHQ is an online news media that provides extensive research, reviews, and rankings of firms and products across the U.S., U.K., Canada, and Australia. AdvisoryHQ has detailed selection methodologies for ranking top rated credit cards, financial accounts, firms, products, and services. Securities offered through Charles Schwab and TD Ameritrade. Members FINRA/SIPC.